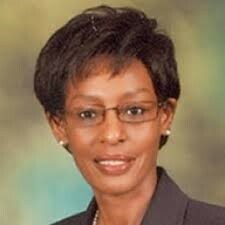 Prof. Lucy W. Irungu, Ph.D. the Vice-Chancellor of Machakos University was recently elected the President of East Africa Research and Innovation Management Association (EARIMA) during the 4th EARIMA Conference held in Arusha, Tanzania. EARIMA is a professional body formed in 2011 in Dar es Salaam and was legally registered in 2015 in the United Republic of Tanzania. EARIMA membership countries include Tanzania, Kenya, Rwanda, Ethiopia, Somalia and Eritrea and its secretariat is in the Directorate of Research and Publication at the University of Dar es Salaam. The objective of EARIMA is to offer professional development and capacity building for its members, especially in creating awareness and promoting research and innovation in academic and public fora. Apart from advocating for appropriate national and international policy on research and innovation, it also aims at advancing professional code of standards, science, technology and innovation including addressing the disparity between “North-South” knowledge gap. P.O. BOX 136 - 90100, Machakos-Kenya. EA.